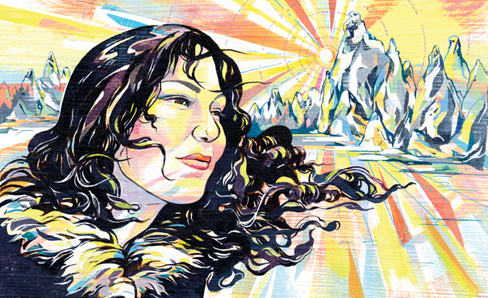 Step by step illustration of Inuit throat singer Tanya Tagaq – Canadian Geographic. What a lovely find. A fine artist honouring another fine artist. This makes my day. This entry was posted in Artists of Note, Music and tagged art, singer. Bookmark the permalink.